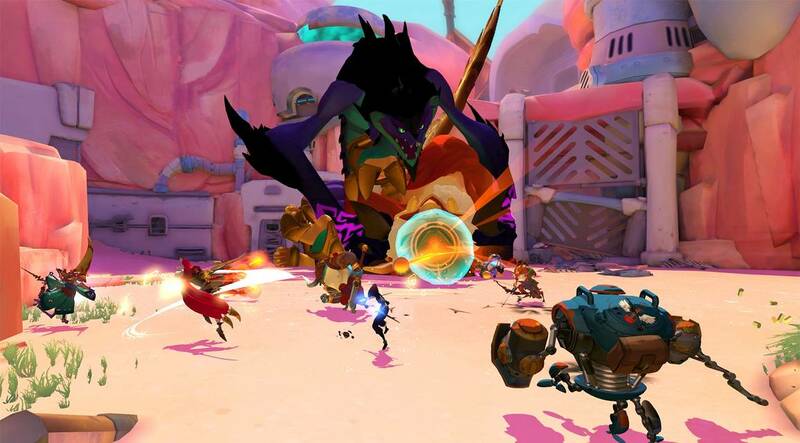 Strategic Hero Shooter - In gigantic, you and your Guardian must vanquish the enemy team and their guardian with a mixture of shooting and strategy. Motiga might call Gigantic a “strategic hero shooter,” but you can’t ignore the way that MOBAs influenced the game’s design. Not that this is a bad thing. MOBAs have become one of the biggest genres for a reason (for the time being, at least, thanks to the continued rise of games like PLAYERUNKNOWN’S BATTLEGROUNDS), they’re fiercely competitive, and can be fiercely fun – toxicity notwithstanding. 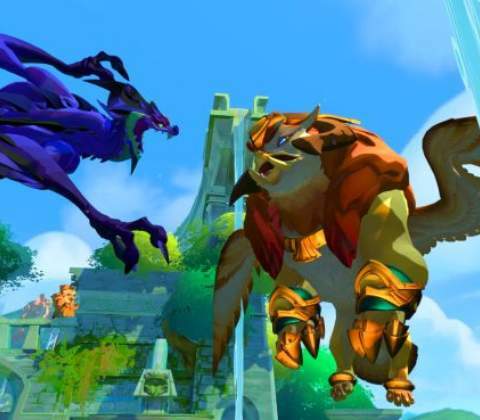 Gigantic’s Guardians are at the core of what the game unique. These towering behemoths fight, defend, and rampage through the battlefield. Since the enemy Guardian is invulnerable most of the time, much of the game revolves around empowering your Guardian to the point that it can attack the enemy and render it vulnerable. Do this by killing players, creatures, and collecting orbs on the map. Summoning creatures at the various circles of power throughout each map is also a surefire way of ensuring that your Guardian powers up. Only then can you attack and deal damage. Dealing enough damage during a vulnerable phase will wound the enemy Guardian. Wound it three times, and you win. It’s as simple as that – give or take the constant struggling of two similarly skilled teams. Ensuring that your Guardian takes as little damage as possible while it is vulnerable is paramount, more so than running around the map hunting for kills. Gigantic is lucky to be alive. Microsoft was originally slated to publish the game exclusively on the Xbox One and Windows 10 (you can still find Gigantic on the Windows Store if that tickles your fancy). But one thing led to another and Microsoft removed itself from the equation. 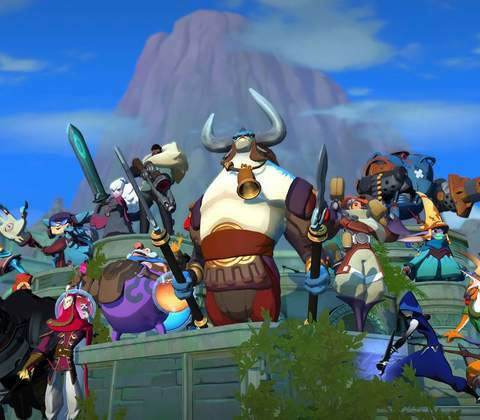 Motiga had to lay off virtually its entire staff, and it seemed as though the fork would soon be stuck into Gigantic. But persevere it did, and soon, Perfect World Entertainment swooped in to help ensure that Gigantic did not fizzle and die. 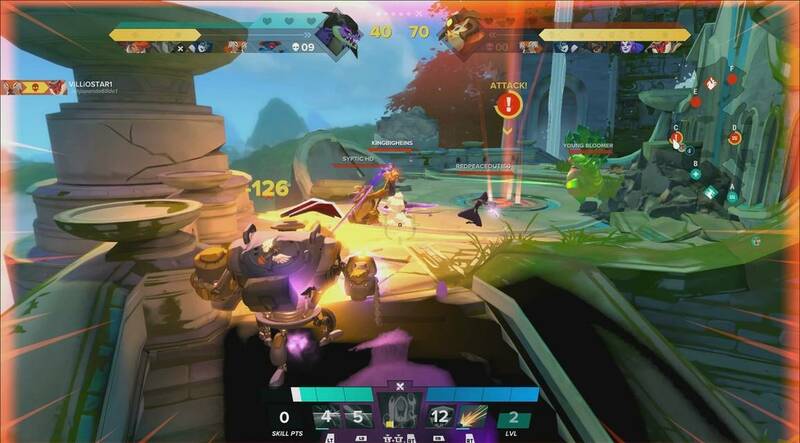 Much like Overwatch, Paladins, and Lawbreakers, Gigantic calls itself a hero shooter, and much like most other third-person shooters, you aim with a crosshair and perform a primary attack – ranged or melee – with the left mouse button. But what would a game with only one way to attack be? Heroes feature a handful of other abilities, including an “ultimate.” Ultimates are where focus comes in. Attack enemies and perform your role (tank, DPS, support) to increase your focus meter, then use those charges to either cast your ultimate ability, or summon creatures for your team at those circles of power. Aim, shoot, and (hopefully) kill. 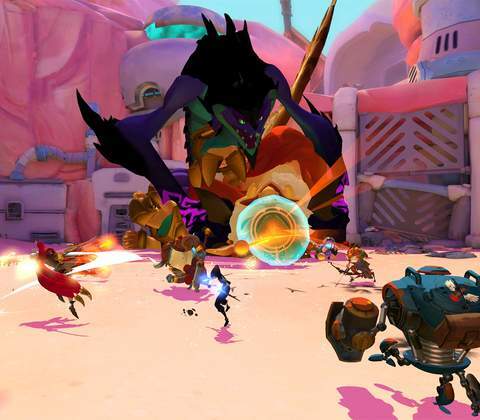 The general flow of battle in Gigantic becomes a fast-paced skirmish of killing enemies, attacking circles of power, defending circles of power, and then joining your Guardian as it rampages. A well-coordinated team can win matches lightning fast, but if the enemy team stages a solid defense of their Guardian, those battles can last a bit longer. If World of Warcraft taught us anything, it’s that style sells (or more importantly, the Blizzard name). But creating a stylized enough art design for a game will give it a timeless quality. The look that Motiga has created gives the game a splendid CGI/cartoonish quality that would feel right at home on the big screen. The system requirements aren’t too steep, so the game should run quite well on a wide variety of machines. At the moment, though, the game is locked at 60 FPS, but Motiga hopes to get the game optimized for 144hz monitors soon. It might cost a little money, but you too can look stylish. 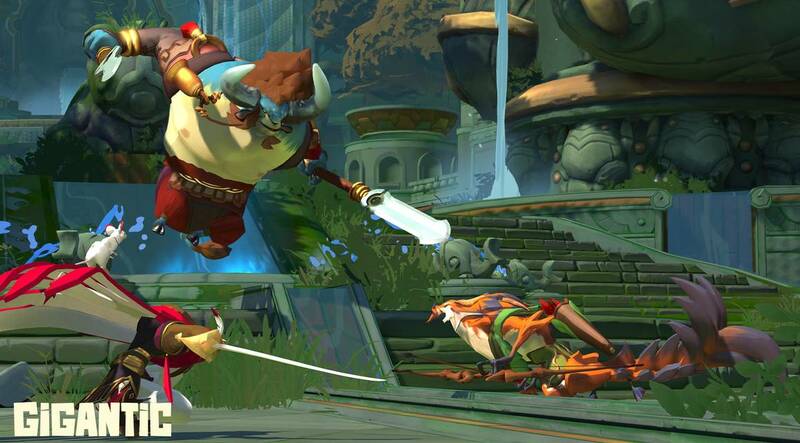 Like any good free-to-play game, you can spend lots of money on Gigantic, or none at all. Each of the game’s 21 heroes has a price tag of $4-6 USD, purchased with in-game rubies. Crowns are the currency that you earn through playing the game. Those, too, can be used to purchase both heroes and creatures, as well as a handful of the cosmetic skins. There are also premium skins that are only available through rubies. To help in the grind that we’re all accustomed to when it comes to free-to-play games, there are quests in the form of fortune cards. These give you tasks such as dealing 3,000 damage across multiple games, or earning 25 kills. These fortune cards grant anywhere between 500 and 1000 crowns, and considering that each hero costs between 5,000 and 10,000 (13,000 for the new ones), the grind is definitely still alive in Gigantic for anyone who doesn’t want to abide by the weekly free-to-play rotation of heroes. 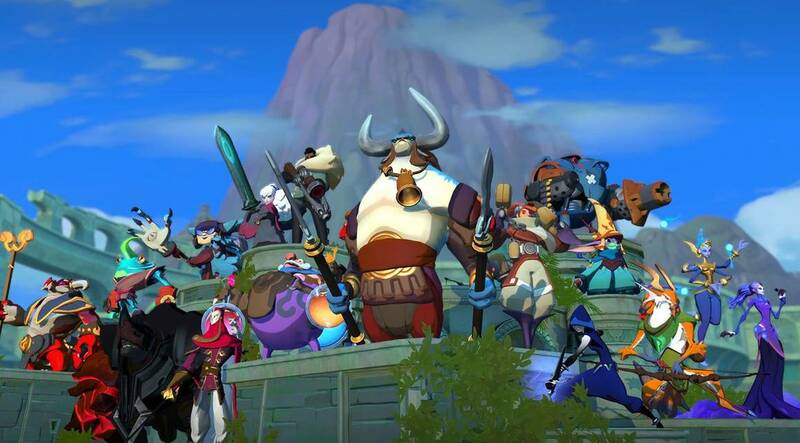 Gigantic is no MOBA, even if it does draw some inspiration from those games. 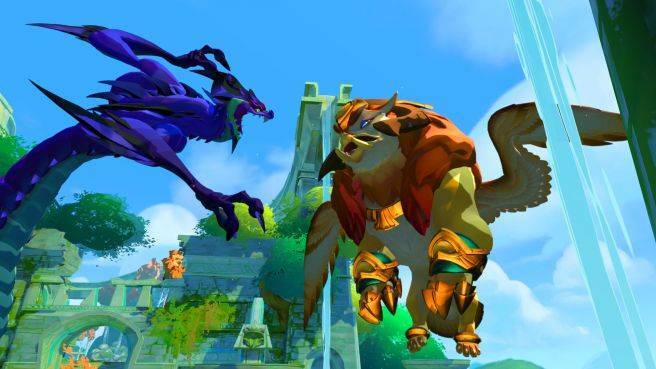 If you’re looking for fast-paced hero shooter, one with an interesting hook in its Guardian gameplay, then Gigantic might not be a gigantic waste of time. 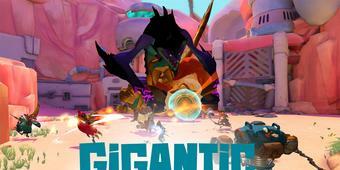 Ready to enter the world of Gigantic? Click here to play now! Gigantic takes the burgeoning hero shooter genre and twists it up a bit with fast-paced gameplay and Guardian on Guardian action.